Posted by geoconger in Uncategorized. I have fallen behind in my posting on my archive — six months to be exact. I have several thousand older stories to post as well as new stories. The mix of my work has changed however. As rector of a fast growing congregation in the Episcopal Diocese of Central Florida I have had to cut back on my output. I’ve said goodbye to GetReligion and the Media Project after a happy five year run and pulled back from freelance work. I am focusing my writing energies on Anglican Ink, The Church of England Newspaper, and Anglican Unscripted. Everything else is devoted to one of the fastest growing, and most spirit filled congregation in the Episcopal Church: Shepherd of the Hills Episcopal Church in Lecanto. The Ukraine Bible Society has responded to the street protests in Kiev and the unrest in the Crimea with a campaign to distribute Scriptures in Russian and Ukrainian. “We believe that only God can bring peace and reconciliation so, with clergy and church volunteers, we went out onto the streets, getting close to government forces and protesters. Local churches set up prayer tents all over Maidan (Kiev’s Independence Square, scene of the conflict between police and protestors), and together we provided food and drink, helped the injured to get medical help, and distributed more than 8,000 Scriptures. People responded so warmly that we completely ran out of free Scriptures to distribute”, reports Rostyslav Stasyuk of UkBS. “We pray that with God’s help, Ukraine will emerge renewed and re–devoted to Him,” he writes. Queen Margrethe II of Denmark joined the Bishop of Gibraltar in Europe, the Rt. Rev. Geoffrey Rowell in the re-dedication of St. Albans Anglican Church in Copenhagen last week. In 2012 the church began a campaign to restore the 125 year old church, built with the assistance of Queen Alexandra, the consort of Edward VII and Princess of Denmark. The 20 October celebration marked the completion of repairs to the church’s Victorian stained glass windows and its Queen Alexandra memorial. The president of Dartmouth College Philip J. Hanlon has blocked the appointment of the Rt. Rev. James Tengatenga as dean for moral and spiritual life at the American university. While the Malawian bishop and chairman of the Anglican Consultative Council now backs gay marriage, his past support for the church’s traditional teaching made him too controversial for the school. The 14 Aug 2013 announcement by Pres. Hanlon leaves Dr. Tengatenga without a job and a country. Last month he resigned as Bishop of Southern Malawi upon being appointed dean at the New Hampshire college – and his new found support for gay marriage will make his position untenable in the conservative African nation. Without a job, his American visa will lapse and Dr. Tengatenga will also come under pressure to step down as ACC chairman in light of his commitment to the American cause within the sharply divided Anglican Communion. Following his appointment gay activists at Dartmouth began an internet search on the bishop and found news reports in the Church of England Newspaper that detailed Dr. Tengatenga’s support for gays in Malawi and his work fighting corruption, abuse and tyranny in Central Africa. They also found the bishop had affirmed the church’s traditional teaching on marriage and had objected to the 2003 appointment of Gene Robinson as Bishop of New Hampshire. Confronted with his past statements the bishop said his views had evolved in recent years and he now backed “marriage equality” and saw Bishop Robinson’s appointment as a “blessing” for the church. However gay activists argued the bishop’s new found support for the gay agenda were too little and too late. A professor of African-American studies also suggested that the bishop was an opportunist, changing his views to suit his new employer. A Zambian priest resident in the US, the Rev. Kapya John Kaoma, told the Boston Globe the bishop’s rejection would have wider repercussions. “This is a big blow, because it leaves African activists on the ground wondering if they can work with Westerners,” Fr. Kaoma said. The electoral synod of the Diocese of Southern Malawi has elected the Ven. Canaan Alinafe Kalemba bishop of the diocese in succession to the Rt. Rev. James Tengatenga. On 24 August 2013 Archdeacon Kalemba was elected from amongst four candidates to succeed Dr. Tengatenga, who resigned as bishop in June to take up the post of dean for moral and spiritual life. However the president of Dartmouth rescinded Dr Tengatenga’s appointment last week claiming he was too “controversial”. Gay activists had protested Dr. Tengatenga’s appointment saying they believed his support for gay rights was insincere and insufficiently robust for their liking. Ninety six years after its last service, an Anglican Christmas service was held at the historic English Chapel in St Petersburg. The British Consul General in St Petersburg along with English speaking Anglicans in the Russia’s second city returned to worship at the two hundred year old church for the second time since the October Revolution. Last November, Remembrance Sunday was celebrated at the Church designed by the Imperial court architect Giacomo Quarenghi. Churchwarden Adrian Terris told the Moscow Times the expatriate community had been working for several years to worship once more in the English Church, and thanked the St. Petersburg Conservatory for their cooperation in allowing them to return. Built by the Russia Company in Archangel, the church was moved to Russia’s new capital, St Petersburg in 1712. From 1721 until 1917, the church was located at 56 English Embankment on land given by the Tsar to the British community in Russia. The current Palladian neo-classical style church was built in 1875 to accommodate 2500 worshipers. With the outbreak of the Russian Revolution, however, the church was closed and the building seized by the state. Anglican worship resumed in St Petersburg following the collapse of the Soviet Union in 1993, with services held at the city’s Swedish Lutheran Church. The St Petersburg English Church is supported by St Andrew’s Anglican Church in Moscow, but the city has no resident Anglican chaplain at this time. The church’s website states services St. Petersburg’s branch of the English church does not have its own permanent chaplain; services are instead led by Anglican clergy on short-term visits from Britain or by local clergy from the Swedish and Finnish Lutheran churches. For many members of the chattering classes Jesus is a Lenin figure, or Lenin is a Jesus figure (depending on your priorities) with the difference that Lenin was a real historical figure, while Jesus was not. A recent interview with Salman Rushdie conducted by the ABC, (note the “the” before ABC, meaning the Australian Broadcasting Corporation, not the American Broadcasting Corporation) typifies this view of Jesus held by his cultured despisers. But culture first, then media criticism. Divided into three cantos, “VI Lenin” tells the story of the triumph of the proletarian revolution through the vehicle of the working class, which through toil and strife, guided by the laws of social development, revealed by its ideological genius Karl Marx, produces the “twin of Mother History” — the Bolshevik Party and its leader, VI Lenin. the guiding hand of Lenin. Lenin’s life did not end with his death as the people and the party live on. became a great communist organizer. Lenin will live in the hearts of the proletariat and will remain the rallying point for world revolution. Proletarians, form ranks for the last battle! Long live the joyous revolution, soon to come! What prompted that bit of showing off of the detritus of a wasted youth was the Salman Rushdie interview broadcast on the ABC Radio National program Books and Arts Daily. In a forty minute segment entitled “Salman Rushdie’s New Memoir: Joseph Anton” host Michael Cathcart spoke to the British novelist about his life in the wake of the fatwah. On Valentine’s Day in 1989, Iran’s Supreme leader the Ayatollah Khomeini declared a fatwa – any believer who assassinated the novelist Salman Rushdie was promised eternal life. The Ayatollah announced that the Indian born British novelist had committed an unpardonable blasphemy against Islam in a novel called The Satanic Verses. To supporters of the fatwa, even the title must have seemed like a confession. This was a man who by his own declaration was the author of The Satanic Verses. 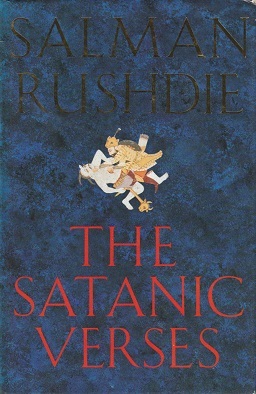 And so Salman Rushdie winner of the Booker prize became Rushdie the Infidel. Rushdie the man in hiding. For some he became a champion of free speech, a man who refused to cave in to bullying. To others, he was the author of his own misfortune. Now he tells the story of his years in protection in a memoir, a vast book called Joseph Anton, the alias he took while in hiding. This interpretation of events is in line with the reports I shared from my contacts in Egypt on 11 Sept 2012 when a mob attacked the U.S. embassy in Cairo and consulate in Benghazi. While the government on 28 Sept backed away from its claim the attack on Benghazi was caused by spontaneous outrage from the “Innocence of Muslims” film, I have yet to see them concede what the press and Egyptian government have concluded — that the Cairo riot was a staged provocation also. There is no doubt that Muhammad was a real person. .. (while) Jesus was an ambiguous person. Muhammad is real. Jesus is, maybe, real, or maybe a legend, the ABC argues. The interviewer has mangled his facts here, as after 150 years of scholarship on this point, the historical Jesus is conceded to have existed by most scholars. The issue as to whether Muhammad existed is an open one in Western scholarship. The ABC interviewer, were he to posit the existence of Jesus, would describe him in these terms also — and view the Christian religion in terms of its social utility. Let me say my concern is not to argue theology, but to point out the worldview the interviewer used in expressing what he believed to be the consensus as to who Jesus was. Jesus like Lenin was a figure whose value lay in his symbolic utility. It is how Jesus is interpreted, not who he is or his work that matters. This, of course, is contrary to most Christian traditions, save for a few modern sects — yet the palette the ABC uses to paint who Jesus was is a default left-liberal semi-universalist one. Doubts can be raised about Jesus, but the portrait of Muhammad is the one held by traditional Islam. Voluble skepticism of Christianity doubled with incurious statements about Islam is common among the press these days. Why? Was this an example of political correctness? The crawling that one sees from many in the press when the topic comes to Islam? Or, was it ignorance of the topic? What say you GetReligion readers? Do you think the ABC would have argued that Jesus was real while Muhammad was sky pixie (a phrase beloved by atheists in describing divinity)? Allegations of disloyalty have been leveled against one of the leaders of the Anglican Communion Institute and may lead to his being charged with misconduct. In an email published on the website Titusonenine, the Very Rev. Philip Turner, the former Dean of Berkeley Divinity School at Yale reports that he is being investigated for having executed an affidavit in the Diocese of Quincy lawsuit and had endorsed the Anglican Communion Institute’s amicus brief in the Diocese of Fort Worth case before the Texas Supreme Court. On 29 June 2012 nine bishops received emails from the Rt. Rev. Clayton Matthews informing them they were being investigated for their views on the issues under dispute in the two lawsuits. First published in Anglican Ink. 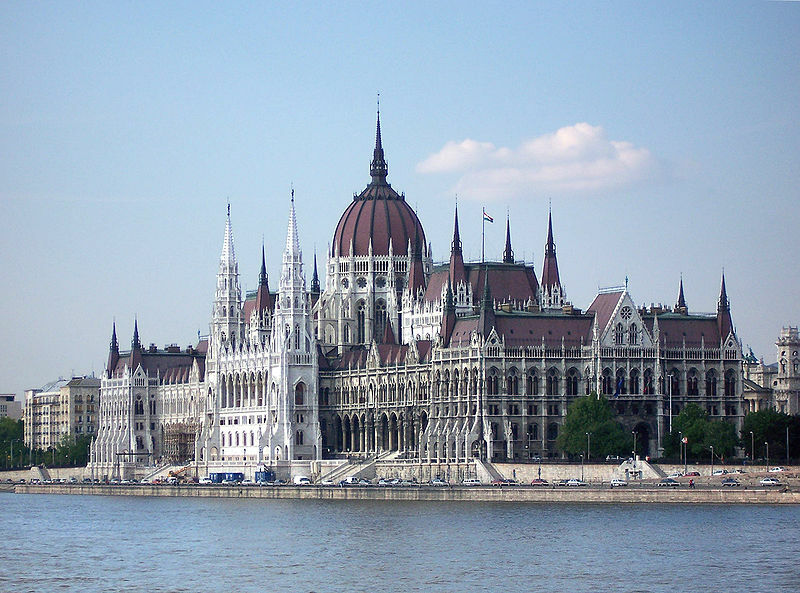 The Hungarian parliament has expanded its list of formally recognized churches from 14 to 32, adding the Church of England its list of government approved sects. The 27 February 2012 vote was boycotted by the opposition, but the governing Fidesz Party and its coalition ally the Christian Democrats were able to pass the an amendment to the Religious Communities bill with a two-thirds majority. State approval gives religious organizations tax-free status and allows them access to government funding for their social services agencies. Ministers of approved religious groups are also authorized to undertake pastoral work in state institutions including prisons, hospitals and the military. On 14 July the Hungarian parliament adopted “The Right to Freedom of Conscience and Religion and on the Status of Churches, Religions and Religious Communities” Law, by a vote of 254 to 43. The new law recognized the Roman and Greek Catholic Churches, the Eastern Orthodox Churches, the Lutherans, the Calvinists, select Jewish denominations, the Hungarian Unitarians, the Baptists and the Faith Church as churches. The Church of England, which counts St. Margaret’s Anglican Church in Budapest as part of the Diocese of Gibraltar in Europe, along with 347 other religious groups lost their legal status as churches. In December, the Constitutional Court struck down the church law on procedural grounds, but did not review the substance of the law. Parliament then reauthorized the law and 66 religious organizations petitioned to be added to the approved list. Last week Parliament added 18, the Church of England, Methodists, Jehovah’s Witnesses, and a number of Muslim and Buddhist groups. A spokesman for the Diocese in Europe told The Church of England Newspaper that it welcomed the grant of official and legal recognition to the Anglican Church. The vicar of St Margaret’s, Dr. Frank Hegedűs “welcomed this clarification” that confirms the status of the Church of England within Hungary. “The decision follows a number of meetings and representations in recent weeks and has shown the strength of support for this English speaking ministry in the heart of this capital city,” the diocesan spokesman said. The Diocese of Recife reports that the memorial service for Bishop Robinson Cavalcanti and his wife Miriam has been scheduled for 29 February 2012 at Emmanuel Anglican Church in Olinda in Pernambuco state. The internment will follow immediately afterwards at the House of Peace Cemetery in Paulista. The Primate of the Anglican Church of Australia, Archbishop Phillip Aspinall of Brisbane, has accepted the findings of the church’s Special Tribunal and deposed the former Bishop of The Murray. On Sept 24, Bishop Davies resigned as Bishop of The Murray in South Australia, one day before a tribunal met to hear nine counts of misconduct laid against him by the Archbishop of Adelaide and Bishop of Willochra. After two days of hearings, the tribunal found the former bishop guilty of misconduct in absentia and recommended he be removed from the episcopate. 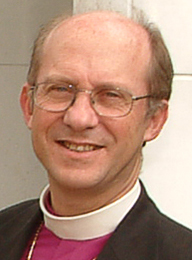 Bishop Davies is believed to have been received into the Roman Catholic Church, but the Anglican Church of Australia had no knowledge of his current status, Dr. Aspinall’s spokesman said. The Secretary General of the Anglican Consultative Council has withdrawn the Bishop of Chile’s invitation to serve on the Inter Anglican Standing Commission on Unity Faith and Order (UFO), citing the province’s violation of the moratorium on crossing provincial boundaries. In an interview taped on Oct 18 with Anglican TV, the primate of the Southern Cone said he was nonplussed by the assertions made in the secretary general’s press release, as it was “untrue” and “unjust” to say he had not responded to the ACC. On June 7, Canon Kearon announced that five American participants on the Ecumenical dialogue commissions had been informed that “their membership of these dialogues has been discontinued,” while the sole American member of the UFO committee was downgraded to consultant status. In his Oct 14 press release, Canon Kearon said “I have not received a response” to this request for “clarification” from the Southern Cone. Canon Kearon’s claim, however, is at odds with Bishop Venables’ memory, as he reports having had two telephone conversations with Canon Kearon and one with Dr. Williams about this issue. Bishop Venables further stated that he told Dr. Williams and Canon Kearon in the three conversations that he could not give a definitive answer to Canon Kearon’s letter until after the meeting of the Southern Cone standing committee. A spokesman for the ACC confirmed that Canon Kearon had indeed “followed up with two phone calls” his June letter to Bishop Venables. However, the secretary general had “received no clarification as to the current state of his interventions by mid July as requested,” ACC spokesman Jan Butter said. The fracas over Canon Kearon’s June letter is not the first breakdown in communications between the ACC and the Southern Cone, as Bishop Venables told Anglican.TV he never received a copy of the revised Anglican Consultative Council constitution that was to have been distributed to the provinces before it was adopted this summer. One senior Global South leader told CEN he was troubled by the implication that Canon Kearon could make demands upon the primates and the provinces. 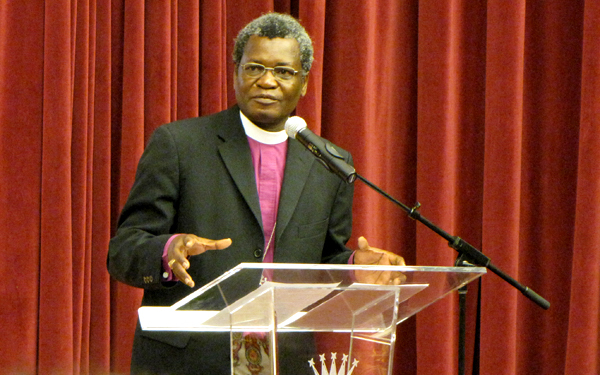 The ACC secretary general has “no authority” to dictate to the communion, he observed. 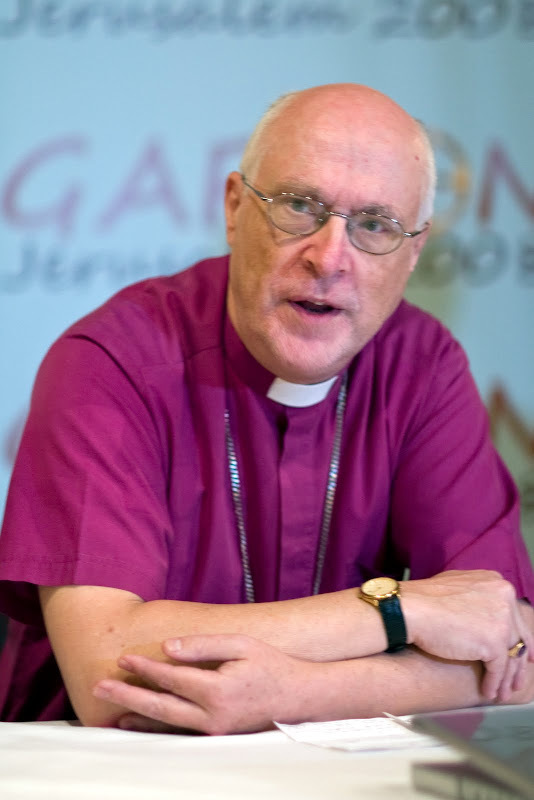 The President Bishop of the Province of Jerusalem and the Middle East has quit the Standing Committee of the Anglican Consultative Council, stating he has no faith in its integrity. The Bishop of Egypt’s defection comes as a blow to the Archbishop of Canterbury, Dr. Rowan Williams, who had counted on Dr. Anis as one of his few remaining allies among the global south coalition of primates. Dr. Williams had attempted to dissuade Dr. Anis from quitting the standing committee after Dr. Anis gave voice to his concerns following its December meeting. He pleaded with Dr. Anis to stand fast, sources close to the Egyptian bishop told The Church of England Newspaper, arguing the Anglican Covenant would soon answer his concerns. However, Dr. Anis’ Jan 30 letter branding the processes and structures Dr. Williams set in place as flawed, comes as a public rebuke to the archbishop, which further isolates Canterbury from the non-Western primates of the Communion. In his five page letter, Dr. Anis stated the Standing Committee was usurping authority not properly granted to it. It had “continually questioned the authority of the other Instruments of Communion, especially the Primates Meeting and the Lambeth Conference,” and had ignored the recommendations of the Windsor Report and the Primates’ 2005 and 2007 meetings concerning the Episcopal Church. It engaged in a pointless tartuffery that offered “no effective challenge to the ongoing revisions” of the US Church. Dr. Anis noted that while there were “many good aspects” to the Covenant, he had a number of reservations about its utility in resolving the issues before the Communion. He also objected to the twisting of the “Listening Process” mentioned in Lambeth Resolution 1.10 from a call to “minister pastorally and sensitively” to those with a homosexual orientation, to pro-gay agitprop. “It seems as if the aim of the Listening Process is to convince traditional Anglicans, especially in the Global South, that homosexual practice is acceptable,” he said. Originally elected to the West Asia seat on the primates’ standing committee at the 2007 Primates Meeting in Dar es Salaam, Dr. Anis’ resignation should give the seat to the alternate elected for West Asia at that meeting: Bishop Alexander Malik, the Moderator of the Church of Pakistan. However Bishop Malik has since stepped down as Moderator leaving the seat vacant until a successor is elected at the next primates meeting. Telling delegates the break with the Episcopal Church is now complete, Bishop Robert Duncan opened the Inaugural Assembly of the Anglican Church in North America (ACNA) June 22 at St. Vincent’s Cathedral in Bedford, Texas. Bishop Duncan recounted the birth pangs of the new province, concluding that the break with the Episcopal Church was absolute. “How is it that a once great tradition has lost its moorings?,” he asked. “We compromised, we were silent, we looked away. No more! Asserting that “what is ahead of us is what really counts,” Bishop Duncan said “we are proud to be part of the great reformation of the Christian church” now taking place. While internally divided over the issue of women’s ordination, Bishop Duncan told delegates it is a “miracle” that those who believe the ordination of women was a “grave error” can “work together toward mission” with those who see it as a being justified by scripture. The Anglican Communion’s first Anglican-Buddhist Bishop was elected this week at a special convention of the Diocese of Northern Michigan. The sole candidate on the ballot, the Rev Kevin Thew Forrester received the support of 88 per cent of the delegates and 91 per cent of congregations, according to a diocesan news release. The nomination of Fr Forrester sparked controversy last month, when the diocese announced that he was the sole candidate for election. Critics charged it was unseemly that a single candidate was chosen by the search committee — which included Fr Forrester among its members — to stand for election. Concerns were also raised about the suitability of a professed Buddhist who said he had received Buddhist “lay ordination” and was “walking the path of Christianity and Zen Buddhism together” being consecrated a bishop. The Primate of Kenya, the Most Rev. Benjamin Nzimbi during a break of the 2009 Primates Meeting at the Helnan Palestine Hotel in Alexandria on Feb 1. A one-time candidate for election as Primate of the Anglican Church of Canada has quit that church to join the breakaway Anglican Network in Canada (ANiC). On Jan 23 the Rt. Rev. Ronald Ferris, retired Bishop of Algoma announced he had been received by Presiding Bishop Gregory Venables into the Province of the Southern Cone. “Bishop Ferris has served the Anglican Church of Canada well. He has a long-standing service and dedication as bishop,” Archdeacon Paul Feheley said in a statement released on behalf of the archbishop. While disappointed with the news, the archbishop nonetheless “respects and understands when people follow their conscience.” Bishop Ferris “has always been a strong conservative voice in terms of his beliefs and he has held on to that,” he said. A resident of British Columbia, Bishop Ferris will plant churches for ANiC in the jurisdictions of the Anglican Church of Canada’s Dioceses of New Westminster and British Colombia as well as assist ANiC Bishop Donald Harvey’s episcopal ministry. A candidate for election as primate of the Canadian church in 2004, Bishop Ferris was elected Bishop of the Yukon in 1981 and was translated to the Diocese of Algoma in Ontario in 1995, retiring on Sept 30, 2008. Bishop Ferris will join the former Bishop of Eastern Newfoundland and Labrador, the Rt. Rev. Donald Harvey and the former Bishop of Brandon, the Rt. Rev. Malcolm Harding in providing episcopal leadership under the oversight of Bishop Venables for ANiC. Founded in 2007, ANiC has three bishops, 66 clergy, 26 congregations and an average Sunday attendance of 3200. The secession of the highly regarded Bishop of Algoma comes as a blow to the Canadian Church. While Bishop Ferris had supported ANiC within the Canadian House of Bishops and was considered the leading voice amongst its conservative, his secession was unexpected. Posted by geoconger in Church of England Newspaper, Church of the Province of West Africa, Education, Uncategorized. Sparing the rod has spoiled the children of Ghana, the Bishop of Sekondi said last week. Bishop John Otoo called upon the Ghana Education Service to impose stricter disciplinary standards to combat the breakdown of order amongst the young, recommending the sparing use of corporal punishment and firm rules for student behavior. “Heads, teachers and pupils, nowadays do not care to know the limitation of their bounds; they do not know their code of conduct, and are careless about discipline, therefore contributing heavily to the breakdown of the moral standard of our society,” Bishop Otoo, a former army colonel told the Ghanian Chronicle. Education must not simply transfer knowledge, but instill discipline he said. Speaking at the dedication of a church school last month, Bishop Otoo said that creating an ordered and harmonious society began with the proper schooling of the young. Addressing indiscipline in schools would benefit the student, the education system and society as a whole. Bishop Otoo placed some of the blame for juvenile delinquency on western pop culture, saying it sapped the moral fiber of the young. The Home Office has established a telephone hotline for victims of forced marriage and honour-based violence. The telephone “Honour Network” will be run by the charity Karma Nirvana, an Asian men and women’s project based in Derby, and is one of the first government programmes arising from the passage of the Forced Marriage (Civil Protection) Act. Scheduled to be implemented this autumn, the Act gives courts the power to issue Forced Marriage Protection Orders to stop forcible marriage and in cases where the marriage has already taken place, the courts will have the power to issue civil protection orders and remove the victim from the household. Speaking for the Church of England during the debate last year on the Forced Marriage Act, the Bishop of Manchester stated the bishops’ bench welcomed the new laws. “Forced marriage is not only an abuse of human rights; it is also in faith terms a complete and utter contradiction,” he argued. “The giving of consent is its central and defining feature. Our marriage law in this country is shaped by that Christian understanding and the principle of consent. That is why it is wholly against our culture and legal framework to accept forced marriage that so offends that principle of consent, especially in sexual relations,” Bishop McCulloch said. LONDON – Anti-Zionism has fueled an explosive rise in anti-Semitism in the UK, an All-Party Parliamentary Enquiry into Anti-Semitism is expected to report to Prime Minister Tony Blair on Thursday. A draft copy of the report, quoted by the Guardian newspaper, finds that anti-Israel activists and Islamist extremists have used criticism of Israel as a “pretext” for fomenting hatred against Jews in Britain. The conclusions drawn by the 13-member panel of MPs support the findings of a study published last month by two Yale University professors, which reported that anti-Israel sentiments were a predictor of anti-Semitism. The government had not responded adequately to the upsurge in Jew-baiting, the study concluded, saying police and prosecutors had failed to tackle anti-Semitism with the same alacrity as they had other racist crimes. The report warned against the sharp rise of anti-Semitic incidents across Britain, citing violence and physical intimidation, destruction of property and verbal abuse. It also criticized the academic boycott campaign against Israel, noting that “calls to boycott contacts with intellectuals and academics working in Israel are an assault on academic freedom and intellectual exchange,” the Guardian reported. Anti-Semitic incidents have risen threefold following the start of the conflict in Lebanon, said Gardner, a spokesman for the CST, an organization whose roots stretch back to the 1930s battles with Oswald Mosley’s British Union of Fascists in London’s East End. July was the third-worst month on record. He added that he hoped this inquiry “brings a better realization that all of society is challenged” by the scourge of anti-Semitism. In July, MacShane wrote in his blog of his frustration in responding to voters in his South Yorkshire constituency who demonized Jews. “How do I explain politely to my constituents that the Holocaust did happen, that Jews have lived in Palestine for millennia, that the UN, not the UK, set up the State of Israel and that if the first point of politics is to demand the removal of the State of Israel, no one is going to get very far?” he asked. A statistical link between anti-Semitic views and anti-Israel views was found in a study of 5,000 Europeans in 10 countries conducted by Profs. Edward Kaplan of Yale University’s School of Management and Charles Small of Yale’s Institute for Social and Policy Studies. The study supports the conclusions of the MacShane inquiry. Clergy and lay deputies to a special convention in the Diocese of Central Florida Sept. 20 voted by a 4-to-1 margin to distance the diocese from the Episcopal Church. Convention struck the words “Episcopal Church” from a compromise resolution offered by a coalition of 55 clergy who sought to reaffirm diocesan unity and continued participation with the See of Canterbury, the Anglican Communion and the Episcopal Church. General Convention “triggered both a constitutional and a pastoral crisis throughout the Episcopal Church and the worldwide Anglican Communion,” the Rt. Rev. John W. Howe, Bishop of Central Florida, said in his convention address. In the course of a long day of debate that had 10 conservative for every one liberal speaker, the convention adopted an additional three resolutions: disassociating the diocese from the General Convention vote, endorsing the recent request made to worldwide Anglican primates by Episcopal bishops who seek the primates’ intervention in the pastoral emergency within the Episcopal Church, and eliminating diocesan contributions to the national church.